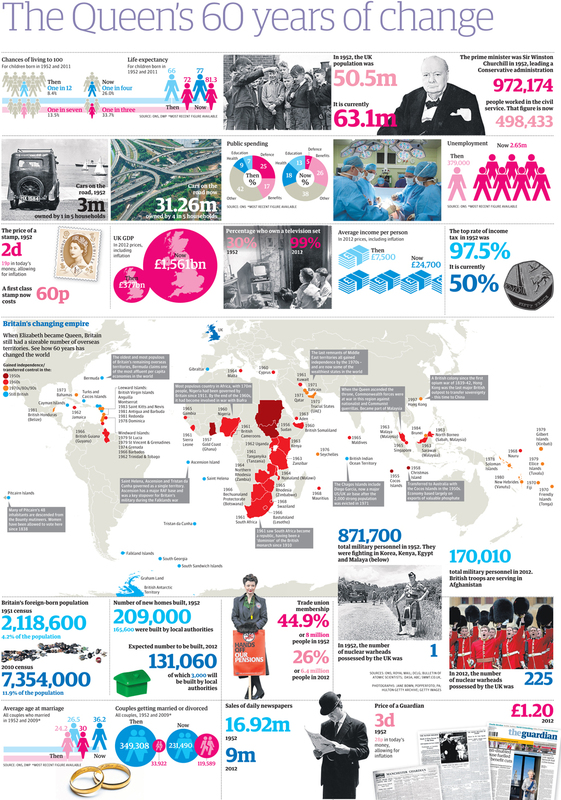 Diamond jubilee in charts: how has Britain changed since Elizabeth took the throne? Read the article on the website of the Guardian: click HERE. This entry was posted on juin samedi, 2012 at 11:51	and is filed under British Isles (The), Civilization. You can follow any responses to this entry through the RSS 2.0 feed. You can leave a response, or trackback from your own site.